Today is WoW Wednesday once again! This is where I share with you some of the “wows” I find on other blogs. Things I love.love.love. 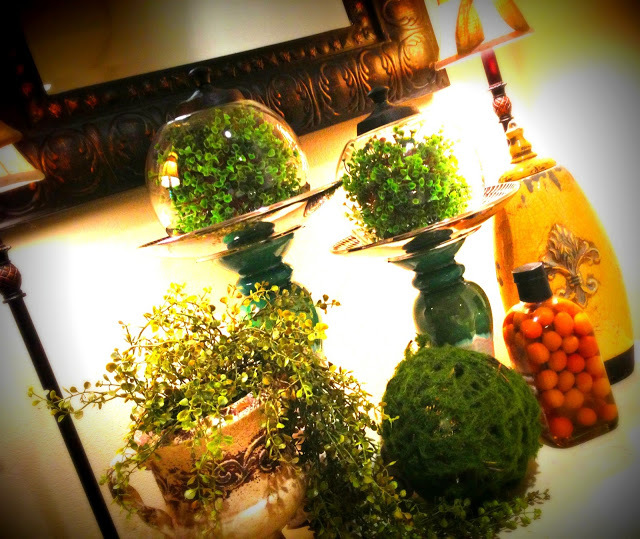 You must look at all she has done on this beautiful spring vignette! What spring looks do you have displayed in your home? Jump over to the Facebook Page and let me know. I would love to check it out! Check out my other spring loves on Pinterest or see other WoW Wednesday projects I have featured here! Liz’s blog is always so much fun to read. I swear I don’t know where that girl gets all her energy! I agree! She is so talented! Thanks for stopping by!